I am a huge fan of DIY face masks, a DIY lemon & honey face mask is perfect for this type of year to get your skin brighter. I think we all know this at this point that my obsession with DIY face masks is crazy! One of my absolute favorite face masks happens to be a lemon and honey one because it gives you bright glowing skin. I absolutely love it, I do it once or twice a month when I get a chance to make it! Your skin feels so much smoother when you’re through and has quite the glow to it. 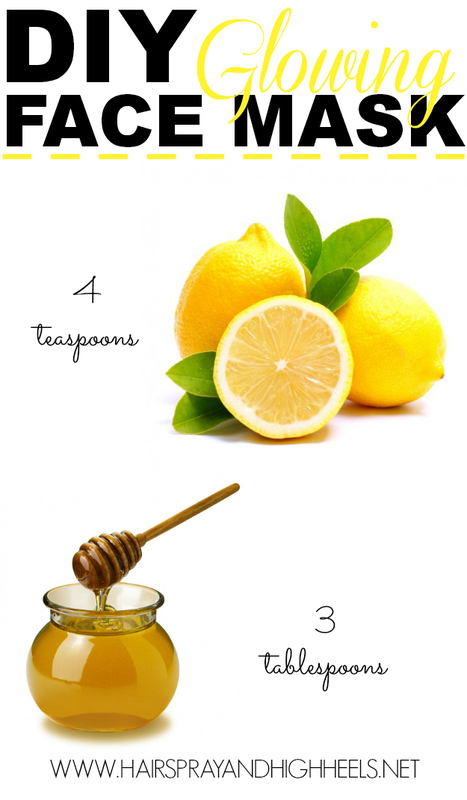 Check out this recipe for the DIY lemon & honey face mask. Mix 4 teaspoons of lemon juice with 3 tablespoons of honey. Continue with the rest of your skincare (serums, gels moisturizers) routine. You can do this mask once a week for beautifully glowing skin! Will you be trying out the DIY lemon & honey face mask? What is your favorite DIY Mask? Would you like to see more of these posts? Thanks for this post! I will definitely be trying out this DIY mask! This sounds nice! Do you think the lemon would be harsh on sensitive skin? Sounds so refreshing – my face needs a little GlowGlow right now, ya know?? 😉 Pinning! Would love to see more of these posts!! These natural ingredients are “magic” – go for hair, face & skin in general. Lemon, Honey & Olive Oil are my all time helpers. Great tip Ange!